Home Sky Cloud A cloaked alien spaceship hovering over Mount Fuji in Japan! This video is just too awesome. It seems that this cloaked alien spaceship is waiting the perfect moment to refuel at Mount Fuji volcano! The amazing event apparently happened near Mount Fuji in Japan on March 10, 2019. 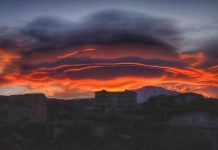 Is it a lenticular cloud or a cloaked spaceship? 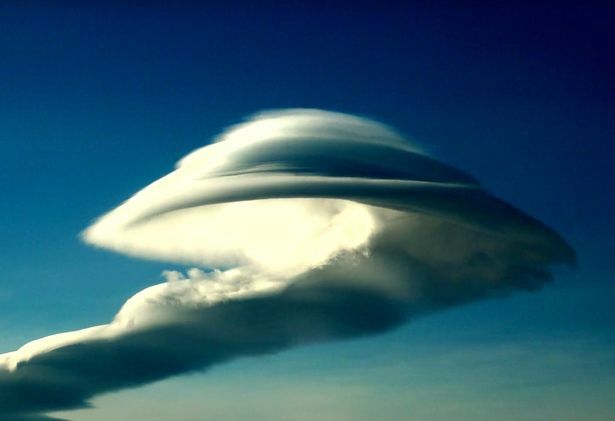 Aliens have been visiting the earth for hundreds of years, and most of the time, they use clouds to hide from the earthly beings. Moreover, aliens seem to really love volcanoes (look for example at Popocatepetl in Mexico). But this sighting could also be the result of holographic images beamed in the skies as a part of ‘Project Blue Beam’. Or maybe this weird sighting is to be linked to weather control programs. 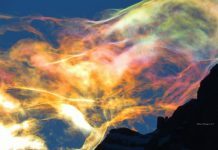 Governments are running secret weather control programs in the sky, and the bizarre shapes of clouds are indicating that the program is going on steadily. It is probably just a cloud… But keep in mind that Mount Fuji is a ‘power spot’ or an area that contains HIGH PSYCHIC ENERGIES, due to strong deviations in the Earth’s magnetic field. And interestingly, the majority of UFO sightings occur in areas where magnetic deviations exist! 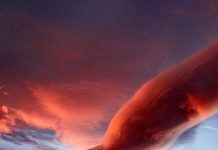 Home › Forums › A cloaked alien spaceship hovering over Mount Fuji in Japan! This topic contains 2 replies, has 2 voices, and was last updated by Apocalypse Rider 1 month ago.